All her life, Sasami Aoba has dreamed of being a champion of justice, but if she can’t be a magical girl, she’ll be the next best thing: a cop! 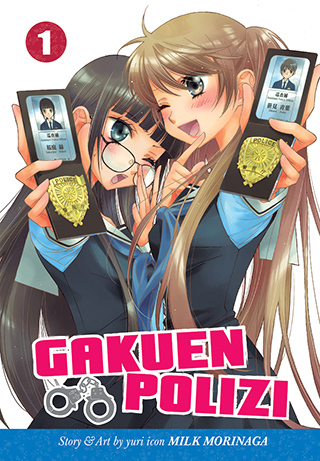 Aoba is a polizi, an undercover officer assigned to Hanagaki Girls’ High School. But when she arrives on the scene, she discovers that Hanagaki is a perfectly peaceful school with no crimes to solve, and that her new partner, Sakuraba Midori, is a stern, by-the-book polizi who has no patience for Aoba’s novice antics. Will Aoba and Midori becomes friends, rivals…or something more? An all-new yuri series from the creator of Girlfriends and Kisses, Sighs, and Cherry Blossom Pink!